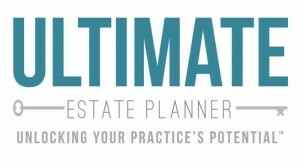 Asset protection is one of the hottest topics in estate planning today. But, many attorneys think that Asset Protection Planning only applies to very large, high net worth clients or think that it is too difficult to learn and do properly. The fact is, a very important basic building block in asset protection, the Single Member LLC (or “SMLLC”), can be easily tied in with many middle-class Living Trust estate plans…if you know how. Please join us and estate planning attorney, Mason D. Salisbury, J.D., for a special 90-minute presentation entitled, “How to Properly Set Up & Organize a Single Member LLC to Protect Your Client’s Assets”. NOTE: NO Single Member LLC Forms provided. Includes: Downloadable PDF Handout Materials, plus MP3 audio recording. PLUS, The Single Member LLC Document Form Package – Standard Version, which includes legal forms in Microsoft Word to draft and design Single Member LLCs for your clients. Includes: Downloadable PDF handout materials and MP3 audio recording. PLUS, The Single Member LLC Document Form Package – Premium Version, which includes legal forms in HotDocs® to draft and design Single Member LLCs for your clients. Mason is a 25-year member of the South Carolina Bar and a partner of the Law Office of Pelzer and Salisbury, LLC. 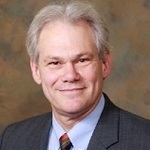 He earned his undergraduate degree in jurisprudence from the University of Baltimore and graduated from the University of Baltimore School of Law in 1987, with honors and as a member of the Law Review. Early on in his career, Mason gained a great deal of experience in asset protection while representing the Federal Deposit Insurance Corporation and the Resolution Trust Corporation as South Carolina outside counsel in a bank failure related litigation matter. During his work as a creditors’ attorney Mason developed a healthy respect for the asset protection potential of properly organized limited liability companies and has since developed his own LLC system and LLC operating agreements. Two of Mason’s LLC operating agreements appear in the current Limited Liability Company Handbook, 2013 – 2014 Edition, published by Thomson Reuters Westlaw. Over the last 15 years Mason transitioned his practice away from going to court and creditor representation to focusing exclusively on estate planning, elder law, inheritance protection, and asset protection. I thoroughly enjoyed your presentation and I am also glad that I decided to purchase the entire package. I see a great future using your materials. They are much more extensive than I could have imagined. It not only trains the attorney and his staff (if he has one) but it becomes a good training for the client as well.